Canada's Largest Sports Compact Championship Racing Series continues for Round 3 and is back in GTA for the first time in a LONG TIME! 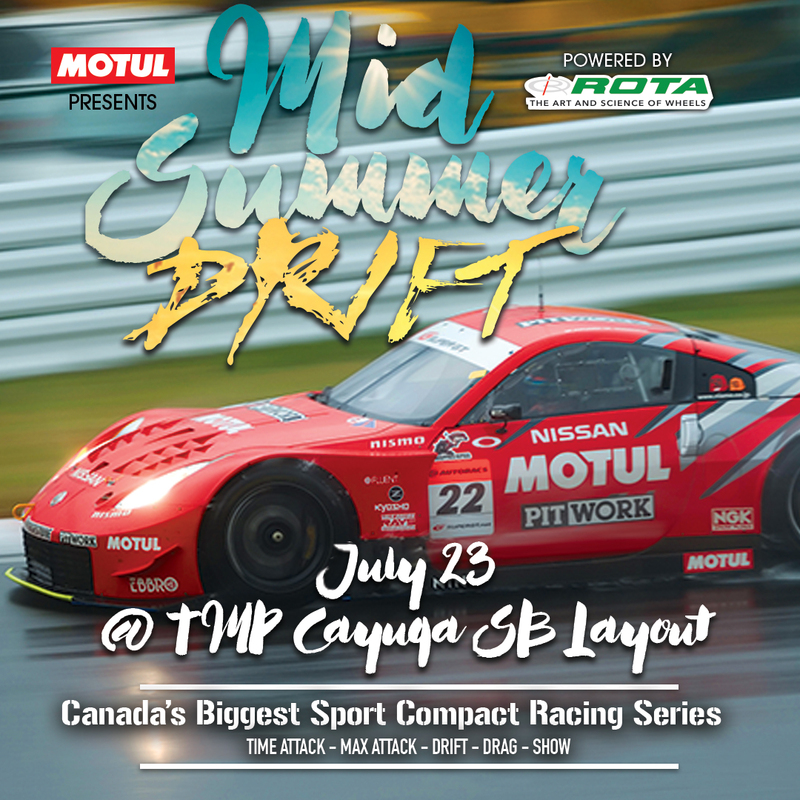 Break out the Beach Gear and let that summer breeze from Canada's exciting field of Time Attack, Drift and Drag cars cool you down while the sickest rides from SONAX's Tuner Cup Show & Shine keeps it HOT! NEW FOR CSCS TIME ATTACK ROUND 3 - the SB LAYOUT - in reverse with 2 chicanes! Summer just got lit! MAXAttack Cash Race - Wheel-to-Wheel Race - NEW & HOT!! Kids under 12 - FREE! Visit www.cscs.ca for details or to pre-register for Time Attack, Drift, Show & Shine NOW!! All CSCS Drag Car Drivers to purchase Tech Card when paying for Gate Admission! Thank you for posting the info!